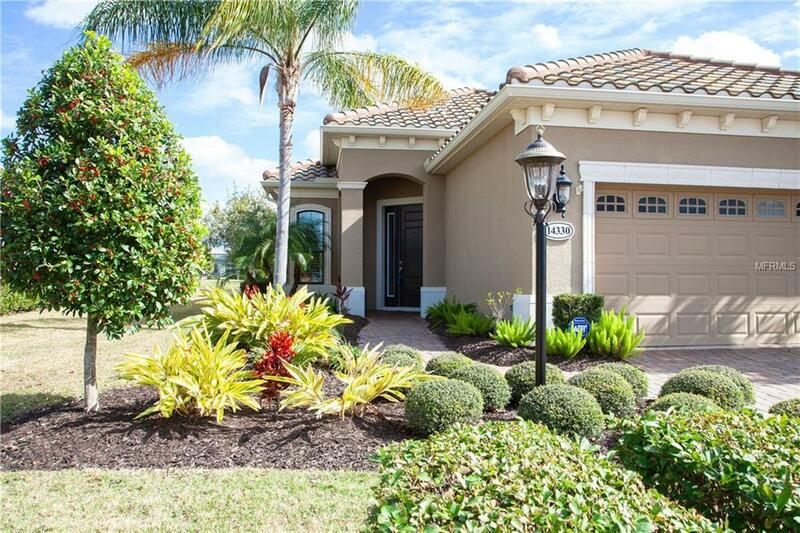 Situated in the tranquil Exclusive Lakewood Ranch Community of Country Club East. 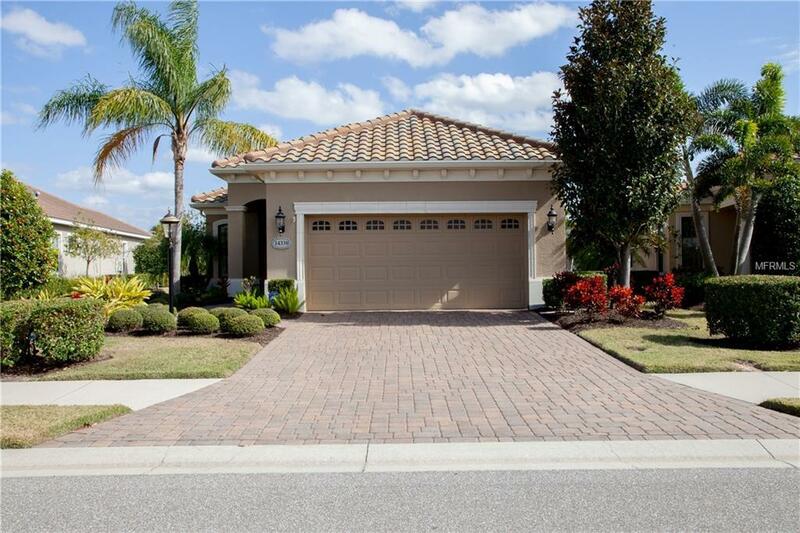 This beautifully maintained Neal Signature pool home SHOWS LIKE A MODEL!. 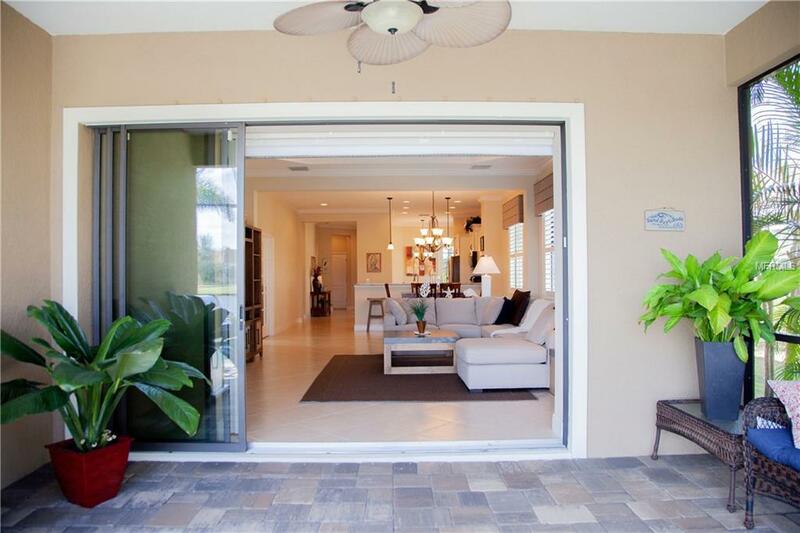 From the moment you enter, you will instantly enjoy the open concept providing a view to your inviting pool with waterfall and large brick paver lanai/lake. This beautiful 2 BR, 2 BA, Den home features neutral finish, 10" and tray ceiling, cased windows, with plantation shutters, crown molding, ceramic tile and bamboo floors, designer light fixtures and custom window treatments. Spacious dine-in kitchen with gleaming Granite, latest pearl finish cabinets with chestnut glaze, breakfast bar and Stainless Steel appliances including French Door Refrigerator. Master bedroom features his n'her closets, maple vanity with granite and dual sinks and tiled Roman shower. Private guest bedroom and bath is ideal for family or guests. Den with glass French Doors provides a space for quiet reflection. Laundry Room has upper cabinets, drop in sink and closet. Tuscan inspired architecture, tile roof, Low E thermal windows, brick paver drive, landscape lighting, and hurricane shutters. Ideally located, 2 resident clubhouses, Fitness Center, 2 Heated Pools and areas for Social Gatherings. Live in one of the countries top master planned communities where you can shop, dine, play tennis or golf, see a movie and are minutes to I 75, UTC Shopping Mall, and beautiful beaches. SELLER IS OFFERING $500 HOME WARANTY! Listing provided courtesy of Jpt Realty Llc.